The Clinton Industries Super Weight Wagon is a mobile and multi-purpose storage device designed to hold cuff weights, dumbbells, disc weights, weight bars and much more. 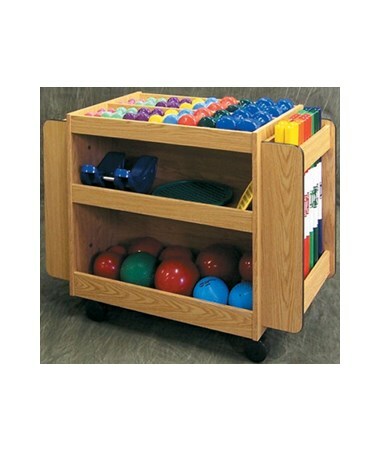 It is a great addition to any physical therapy or rehabilitation facility. Awesome Design. 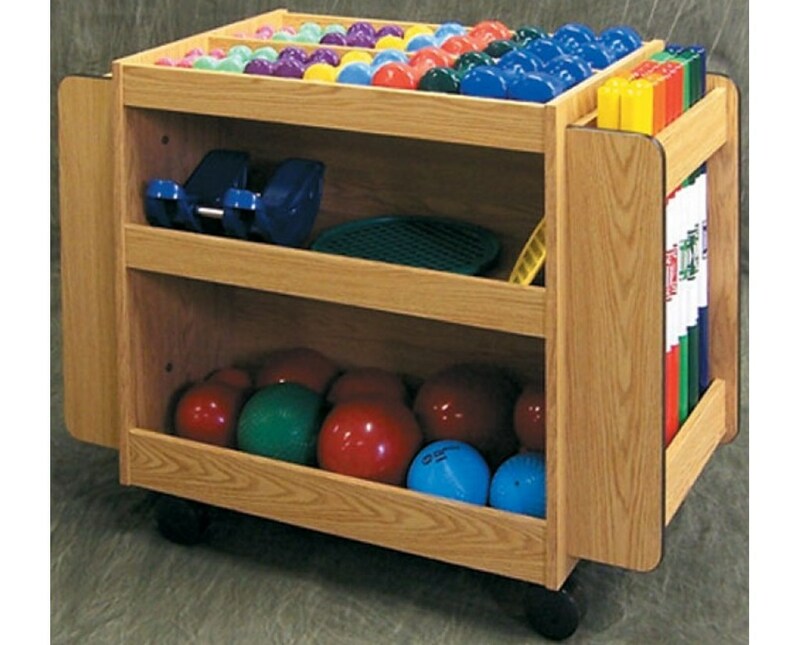 Constructed with four useable sides of storage and optimal mobility, the Super Weight Wagon provides hassle-free and quick access to the numerous storage sections with a full shelf on top. 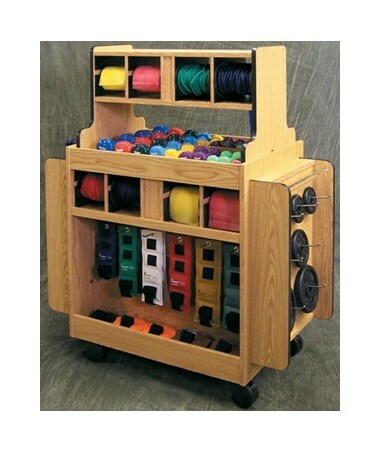 The Super Weight Wagon is made with easy-to-clean laminate materials. It includes 4" swivel casters, with 2 that lock, for quick & hassle-free movement and a protective bumper molding that helps prevents scrapes & scratches during transport around the facility.